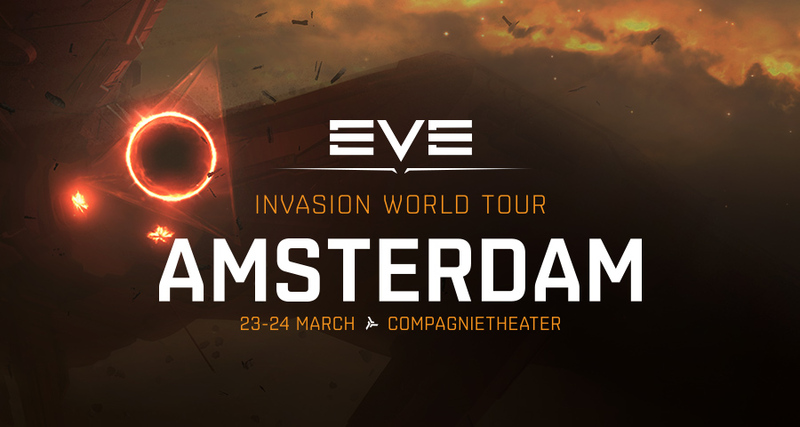 March 20, 2019 - Reykjavík, Iceland – CCP Games, the creators of the in-depth and uniquely player-driven spaceship MMO game EVE Online, today announced more details on EVEsterdam, the upcoming kick-off event to the EVE Invasion World Tour, a global series of capsuleer conventions for EVE Online fans. 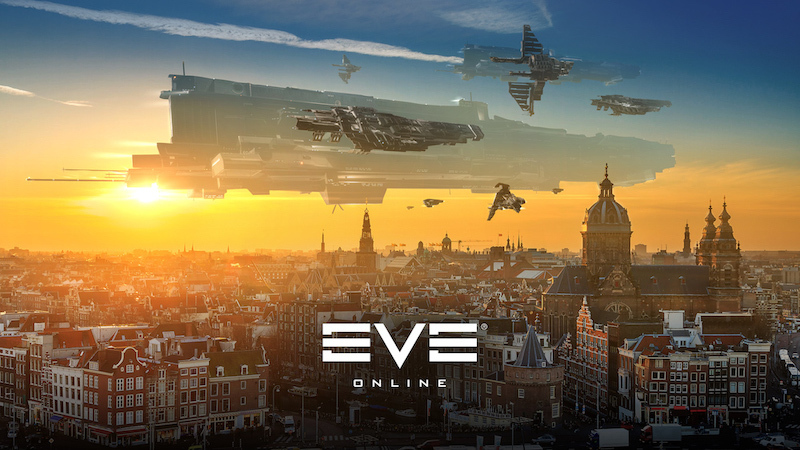 The tour will feature announcements, developer roundtables, live streams, the Invasion Tournament Series, unique in-game rewards and stellar parties for fans, bringing EVE Online closer to its community than ever before. About EVE Online® EVE Online (PC/Mac) is a compelling, community-driven spaceship MMO game where players can build and pilot a wide variety of starships, traversing vast solar systems for free and choosing their own path from countless options, experiencing space exploration, immense PvP and PvE battles, mining, industry and a sophisticated player economy in an ever-expanding sandbox. EVE is a captivating game in which hundreds of thousands of players compete for riches, power, glory and adventure, forging their own destinies in a single thriving universe. For more information, visit www.eveonline.com. About CCP CCP is a leading independent game developer that has been praised for its artistry, game design and unique player-driven, infinitely scalable storytelling narratives. CCP is the creator of the critically acclaimed space MMO EVE Online (PC/Mac), EVE: Valkyrie, a competitive multiplayer first-person spaceship shooter for PCs and PlayStation®4, Sparc™, an original virtual sport for PCs and PlayStation®VR where players' VR hardware serves as their sports equipment, and the Gunjack™ series, VR arcade-action games for PCs, PlayStation®VR, Google Daydream, and the Samsung Gear VR mobile platform. Founded in Reykjavik, Iceland in 1997, with additional offices in London and Shanghai, CCP is an independent subsidiary of Pearl Abyss, the creators of Black Desert Online. For more information, visit www.ccpgames.com. Media Contact Journalists seeking information about CCP or its products, wanting to set up interviews or needing further assets should contact media@ccpgames.com.